Mangaluru, Oct 26,2016: Principal District and Sessions Judge K.S. Bilagi on Oct 25, Tuesday cancelled the bail granted to 48-year-old Farooq after he was found to have violated one of the bail conditions. The Mangaluru North police had arrested Farooq of Bunder and Mohammed Iqbal of Bengre on June 28, 2015, on the charge of illegal possession of 2.3 kg of cannabis. The two were enlarged on bail on September 21, 2015, by the then Principal District and Sessions Judge Uma M.G after the police filed a chargesheet in the case. Among the conditions imposed included a direction that they should not to commit similar offence again. 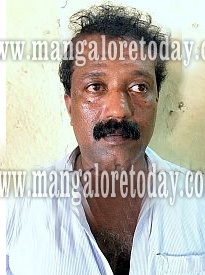 The Mangaluru North police again arrested Farooq on April 27 on the charge of illegal possession of cannabis. On the directions of Police Commissioner M. Chandra Sekhar, the Mangaluru North police moved an application for cancellation of bail as Farooq had violated the bail condition. After hearing arguments of Prosecutor Pushparaj Adhyantaya, judge Bilagi rejected the bail granted to Farooq and remanded him in judicial custody till November 5. Never grant bail because they will once again get into the sane field a they will not get any job. I purely object against the bail for such crooks . If bail is grant they will naturally get into same field .